Is this the KC Star just exercising their penchant for trying to create controversy? Rental cost are about half of what they cost per sq ft in Denver so the KC urban market isn't really that high cost relative to other cities. I'm wondering if KC can expect to see a drop in rates as competition to get renters starts to increase with a huge number (for KC at least) of apartments coming onto the market? I'm interested more in condos but the very small amount of those available ensures a fairly hefty price tag. Re: Are apartment rental costs too high downtown? I feel like rents are high, so they must be unsustainable. Data showing otherwise be damned!! If they were too high there would be a vacancy problem. are we asking this question about other neighborhoods? DaveKCMO wrote: are we asking this question about other neighborhoods? Are there other neighborhoods with rent as high as Downtown? I assume Plaza must be there as well. Personally, no I don't think they are but I think it might be the wrong question to ask, instead I think the question is, is there enough mid-tier apartments available. I would guess if you graphed the $/sqft for rent prices, you'd see a bunch at the bottom and a bunch at the top and not much in the middle. This is just a guess from my best "gut" view of the market, I certainly haven't crunched numbers on it. Exactly. There are entire cities in JoCo that have a minimum level of entry that are out of reach for most people in the metro. KC Star is in the process of driving an anti-downtown, anti-KC narrative to feed its suburban readership. This seems inaccurate to me. Does anyone have links to metro area submarket rental rates? I always thought South JoCo was highest rental market in metro and DT was basically the same as north OP? Not to mention the range they quote there is above or equal to new construction in KC that is being built without incentives. Benjamin said it’s too early to specify expected rental rates for Two Light, but a sample bedroom may rent in the monthly range of $1,450 to $1,500. A comparable One Light unit is expected to rent for about $1,375 a month this fall. The developer, together with the city, said a proposal was moving ahead for a $105 million, 24-story apartment tower with 300 residential units on 18 of the floors above six stories of parking and commercial space. Cordish officials said the company intends to privately invest more than $88 million in Two Light, with the balance covered by city incentives including tax abatements for 25 years and other subsidies associated with both the parking and residential development. Meaning the city will cover $17 million of this project. But this is a highrise project. Lets look at something that is more comparable like Apex on quality hill. Thomas said rents are expected to be in the “market rate” range of $1,100 to $1,200 a month for one-bedroom units and $1,400 to $1,900 a month for two-bedroom units. Thomas said he was able to move forward on the Summit multi-unit complex because of a 25-year property abatement on the value of the new construction. The owners pay existing property taxes on the current property but get 100 percent abatement on the development’s added value for the first 10 years and 50 percent abatement on years 11 to 25. According to city rules about residential development, the developer also must contribute nearly $50,000 related to the Summit project for parkland use. City officials indicated that the funds are likely to be used for West Terrace Park. How about the Gallerie in union hill? Stephenson said the company continues to evaluate rental rates in the neighborhood but generally aims to offer units for between $1,000 and $2,000 a month. The apartments will range from 400-square-foot “micros” to three-bedroom units. The developer isn’t ready yet to suggest a price range for the proposed 53 condominium units and 14 townhomes. The fact that the overall project includes homes that people will buy instead of rent — and pay property taxes on — was important to help reach an incentives agreement with the taxing jurisdictions such as the county, library and school district. Milhaus last year obtained a 25-year, 60 percent property tax abatement on the rental properties, not on the for-sale residential units. The developer also agreed to payments in lieu of taxes, with the first year payment of $447,457. These are the high end for rental units downtown. They are being built with roughly the same amount incentives as OP and for roughly the rental rates....but for some reason the Star is interested in pushing this narrative that DT is overpriced and expensive while OP is affordable, quaint and idyllic. flyingember wrote: If they were too high there would be a vacancy problem. There are a lot of apartments coming on the market very soon so that indeed could happen. I think the Star's article was making the point it was forcing the middle class out in favor of the upper middle class and wealthy. That seems a bit bogus to me because those folks don't normally even rent. I suspect some people at least are willing to overextend themselves financially to live downtown which also keeps the rent high but the Star does seem to have an agenda. Maybe Kboish is correct on what the agenda is - I had just assumed they wanted to create controversy where none existed simply to sell news. When I lived in the burbs, I was never in need of the newspaper for affirmation of my choice of location - Not sure how that really sells papers. It's more likely just the bias of the writer of the article and the Star's need to feel like it's uncovering some injustice. Common theme whether it's downtown, the airport or girls playing beer pong with swatstikas. Lots of new construction in DT Overland Park. Rents are 200-300 less for similar sized units. So the question is, is it demand driven, is land that much more expensive in KCMO, or is it construction cost? shinatoo wrote: Lots of new construction in DT Overland Park. Rents are 200-300 less for similar sized units. So the question is, is it demand driven, is land that much more expensive in KCMO, or is it construction cost? Highlander wrote: Maybe Kboish is correct on what the agenda is - I had just assumed they wanted to create controversy where none existed simply to sell news. I probably would lean more towards your interpretation than the way i guess it came across. It is an attempt to take an angle and create controversy that sells to a certain demographic more than it is a direct attempt at purposively sinking or supporting a certain agenda. But its byproduct does have that effect. Last night, I was too high downtown. And boy was I glad I wasn't in the suburbs. According to Apartment List, Overland Park is the most expensive area city to rent in, with a median two-bedroom rent of $1,170. The median two-bedroom rates for other area cities included in the report are $1,140 in Lenexa, $1,130 in Olathe, $890 in Independence and $880 in Kansas City, Kan.
Overland Park had 4 percent year-over-year rent growth, the highest in the area, followed by 3.3 percent growth in Olathe. Those figures were on par with rent growth rates in major metro apartment markets such as Phoenix, where rents grew 3.9 percent during the past year, and Seattle, which posted 3 percent growth. (KC) city’s median two-bedroom rent of $900, however, remains well below the national average of $1,160. Kansas City’s median one-bedroom rent is $730, the report states. Don't let my snark mislead you, I think its important for DT to offer and focus on affordable housing. I'm just trying to point out hyperbole and imbalance in treatment compared to an area that is not held to the same standards. I don't like the argument that the development DT has priced out people. DT had hardly any options prior to the development boom the last few years and a large portion of the pre-existing options were low-income or subsidized units. The latest target of development DT has been high end housing. That was strategic in order to prove the market and LIFT average rates DT in order to spur spinoff development. In other words...this is on purpose. Now that the ball is rolling DT development should no longer be subsidized, but if we are going to provide any subsidy for DT housing it should be required to be affordable again. Its an ebb and flow, but most news reports lack context or nuance on the issue (imagine that). I also don't think its fair to compare a neighborhood of 10 square blocks to a whole city. 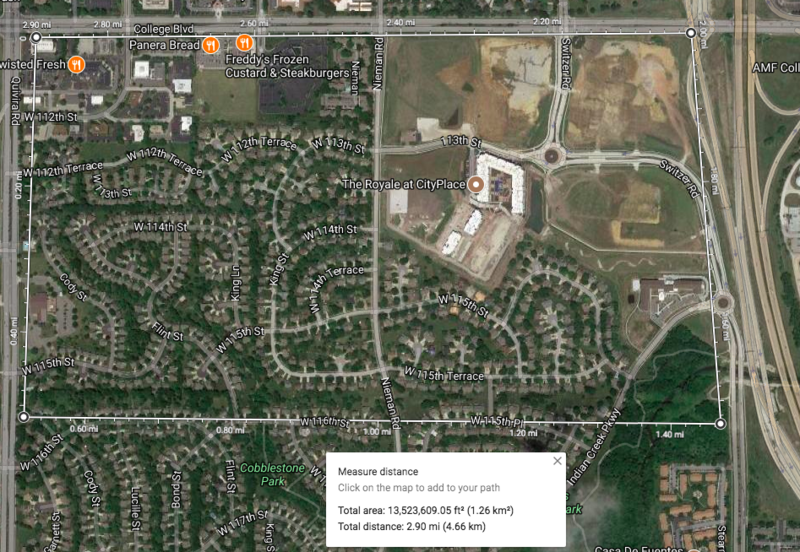 I'm not exactly sure what that site is defining as DT, but since it has westside, river market, CP, xroads, etc as their own neighborhoods I'm assuming it is just the loop... and I'm just guessing btw, but I could probably find a comparable neighborhood in OP with the same stats currently. Can you guess what the average rent for a 2BR is in the second pic? Thats the cityplace development in OP. Quick googling shows me there are barely any units under $2k but ranging upwards of $4k. You can find dozens of similar developments all over JoCo, wheres the stories about pricing people out of those developments? Where is the affordable housing in that picture? None, its ALL luxury. 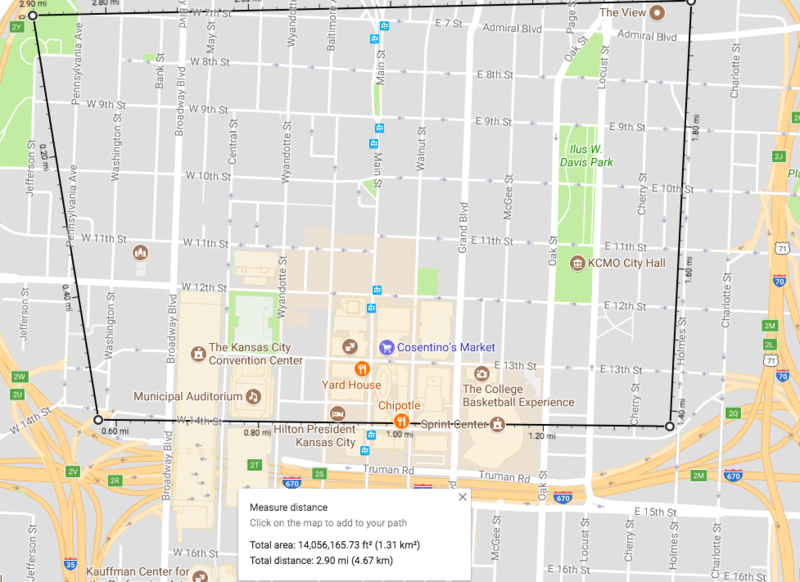 KCMo has this one tiny area with a high average rent...but it is an average. There are lots of places below those prices within that boundary- but if you include 18th and vine, beacon hill, Xroads, westside, and other adjacent neighborhoods, DT just becomes a diverse type area... People haven't got priced out, the proportion of luxury DT has just gone up. It is kind of crazy to think the loop has seen something like over 1000 units come online in the last couple of years. Yes, most, if not all are luxury with penthouses, etc, but that product didn't even exist in KC previously. We should be glad our DT is in demand. We should also focus on balancing the demand with affordability without the news constantly making it seem like people are being thrown out on the streets or presenting a binary choice.